Her works are mainly in sculpture and installation, especially notorious are her many installations of interactive ‘infinity mirror’ installations. In recent years she has expanded her repertoire with large scale exhibitions of painted series she has completed. Her works are based in conceptual art and has attributes of feminism, minimalism, surrealism, pop-art, and abstract expressionism, and is imparted with sexual, psychological and autobiographical content, much of which is from experiences from her youth. She has been acknowledged as one of the most important living artists to come out of Japan. Even today, at the age of 89, Kusama is still creating new works that are always eagerly awaited to be seen in the art world. Let’s take a look at the best places in Japan to see some of the best and most important works that Yayoi Kusama has created. Recently opened in October 2017 and located in Shinjuku, Tokyo, the Yayoi Kusama Museum is a must visit for any Yayoi Kusama Fan. The custom built, five story museum has rotating exhibitions, including a floor just for her world famous infinity room installations. The museum has been sold out since it’s opening, with tickets only available online for three months in advance, and sell out quickly once released. The museum may be closed between exhibitions, for maintenance, and during the New Year holiday. Please check ’Calendar’ before visiting. The Museum of Modern Art in Tokyo holds many of Kusama’s painting and sculptures in it’s collection, spanning from 1950 - 2009. 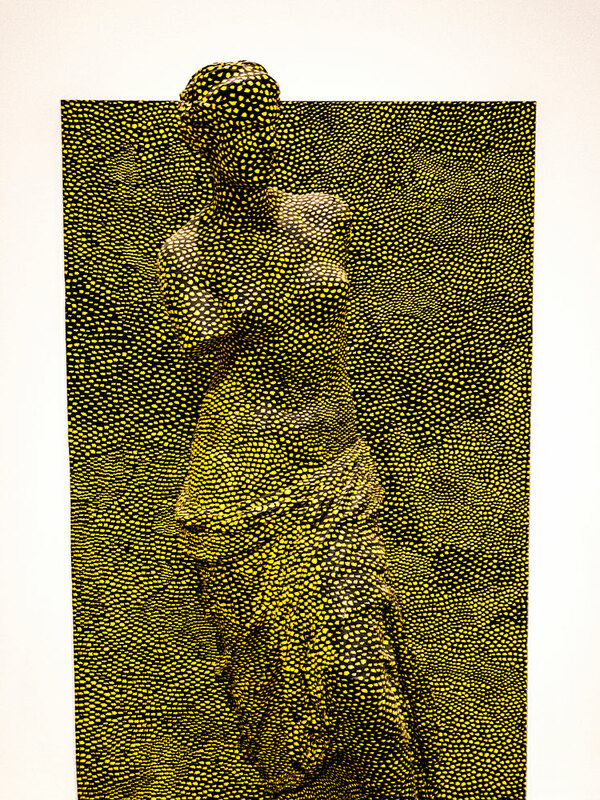 The pieces are shown in rotation through the museum's permanent collection. Tip - Admission is free on on the 1st Sun of every month, as well as May 18 and Nov 3. Naoshima is a must see for any art lover. The quaint island is not far from Okayama, and houses some world class galleries that are built into the island, as well as spectacular installations through a series of old abandoned factories. 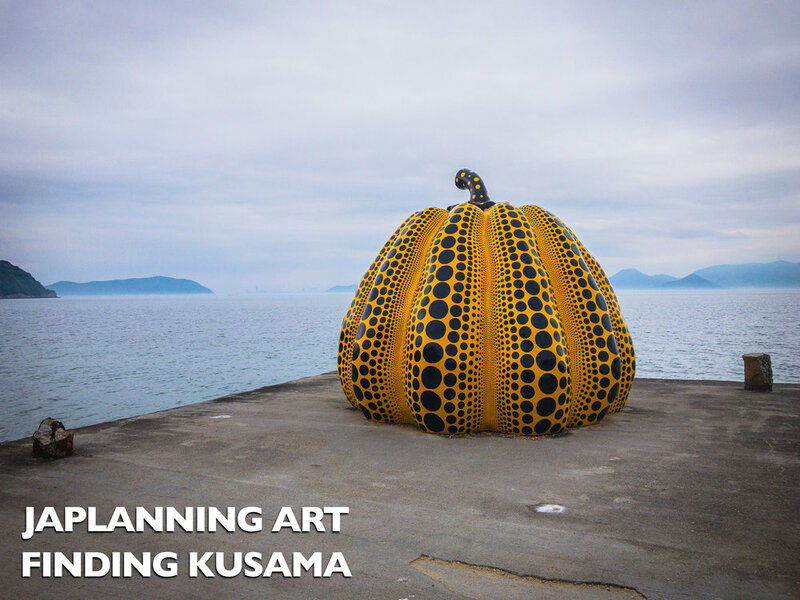 For Yayoi Kusama lovers though, here is where you will find one of the most famous pieces: one of her pumpkins, sitting alone at the end of an abandoned pier at the entrance to the Benesse House gallery and hotel. Inside Benesse House, you can also find Kusama pieces and a gallery shop with exclusive items by Kusama. There is also interactive pumpkins at the main port of entry to Naoshima Island. Tip - You can stay on Naoshima at Benesse house, which gives you exclusive access to some installations. There are also many airbnb listings on the island if you want to spend more than a day trip exploring. In the birth city of Yayoi Kusama, the Matsumoto City Museum of Art has many pieces of Kusama’s works in their permanent collection, including the famous sculpture ‘Flowers that bloom at midnight’ located at the entrance of the museum. This museum is a great place to discover the origins of Kusama. Right now, and through to July 22nd, the special exhibition: Yayoi Kusama - All about my love is showing at the museum, and is the largest exhibition of Kusama’s that has ever been put on display. It is brining droves of visitors to the alpine town, so plan ahead and purchase tickets in advance. Admission: ￥410 (Permenant exhibition only) ￥1200 - Yayoi Kusama - All about my love exhibition. 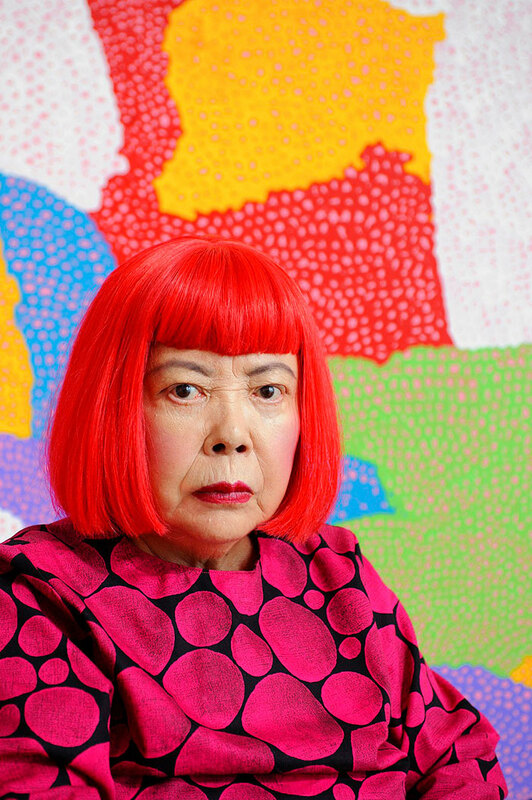 Tip - Purchase your tickets for Yayoi Kusama - All about my love in advance to skip the queues! Located in northern Japan, the Towada Art Center has a collection of contemporary art commissioned from some of the greatest artists including Yayoi Kusama. In their outdoor space, her 8 sculptures making up the piece ‘Love Forever, Singing in Towada’ can be seen. Tip - With the Kusama installation located outside, a visit in the winter months can give a great experience of seeing it in snow. The bright colours of Kusama’s works against the stark white of snow is polarising. Located on the southern island of Kyushu the Kirishima Open-Air Museum has in it’s permanent collection several Kusama pieces indoors, and feature some of her most famous sculptures in their open-air segment, including: ‘Flowers of Shangri-la’ and ‘High Heel’. The above is just the some of the major permanent collections for viewing Yayoi Kusama’s work throughout Japan. It is always good to keep an eye out for some of her works in various art galleries throughout Japan, as they are quite proud of her work, and it can be found throughout the country. Also keep an eye out for special exhibitions in any areas you plan to visit (for example, the massive exhibition in Matsumoto right now, and the special exhibition ‘Pumpkin Forever’ currently showing in Kyoto). With most major cities hosting one every year or so, there is always a good chance to see something truly special from one of Japan’s greatest artists. 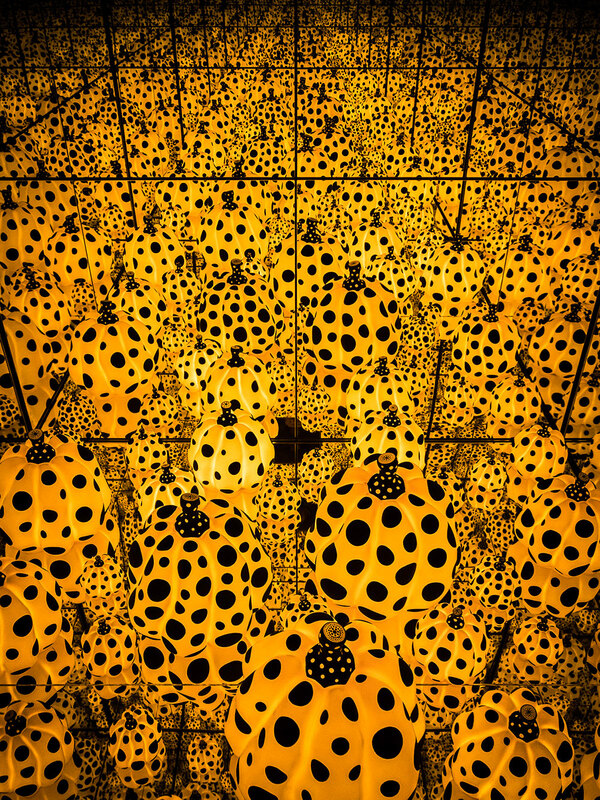 Have you seen some of Kusama’s pieces when you have visited Japan? What are some of your favourites?